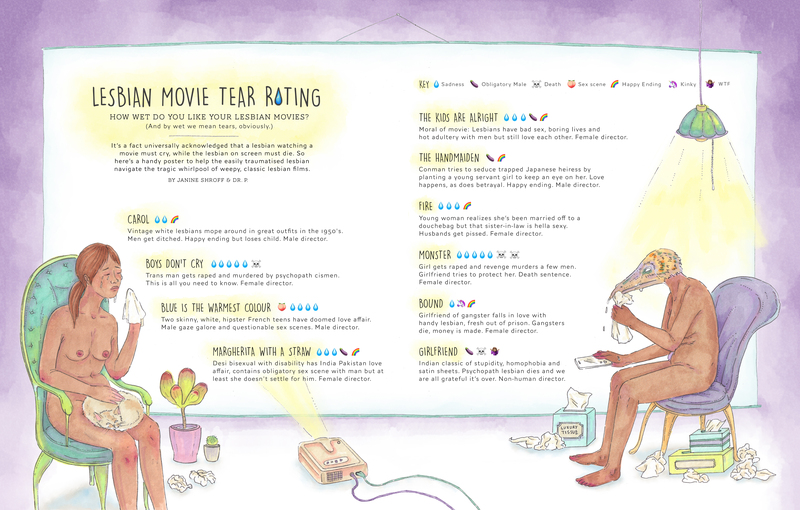 A handy guide for easily traumatised lesbians (me) to prepare them for certain lesbian films that end tragically, based on a ‘tear’ rating system. The aim of this guide is to prevent future young lesbians from being scarred for life by watching these movies. The rating system is ‘tear’ based. e.g. 5 tears = Very Depressing. watch at your discretion. Co-authored with Dr. P. Official lesbian movie watcher.